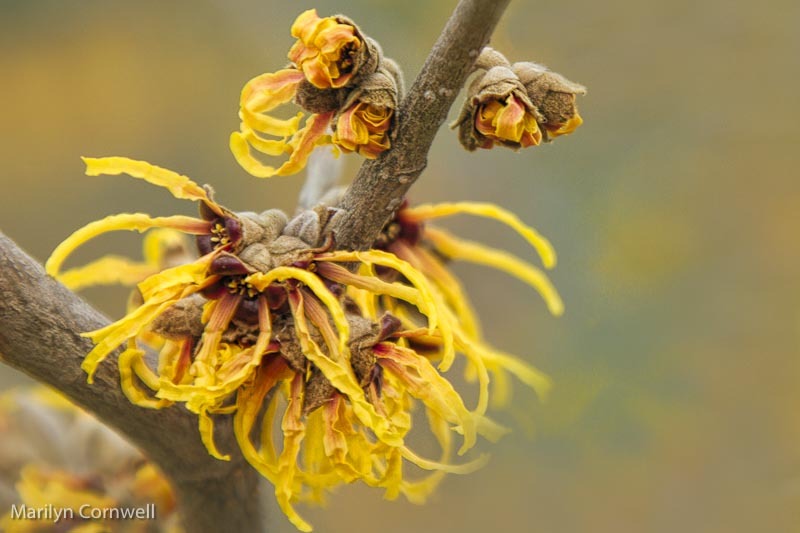 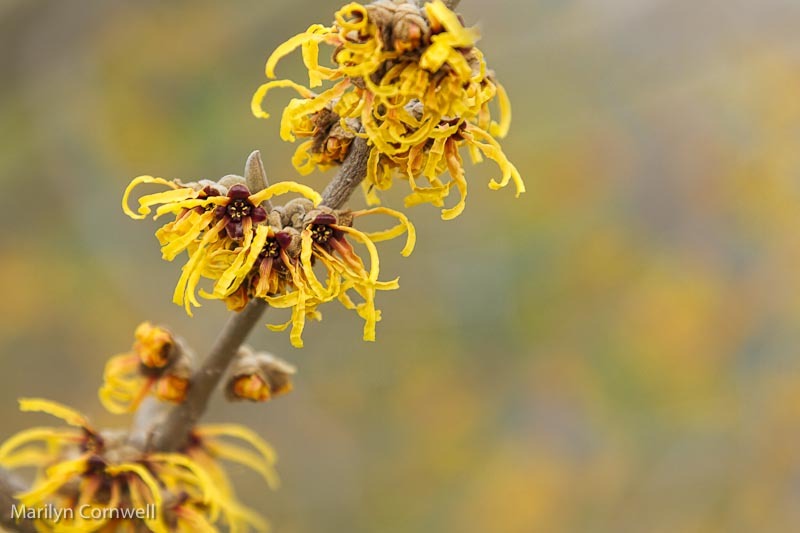 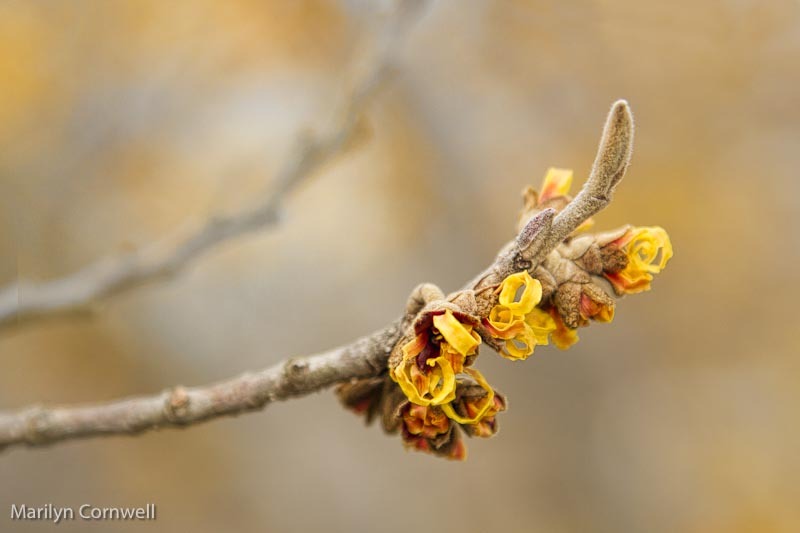 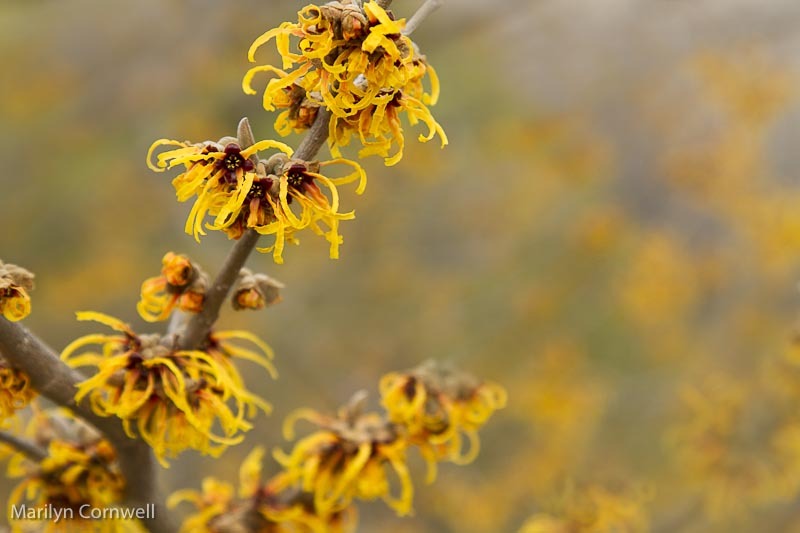 Witch Hazel is a shrub that will bloom on warm days in the winter. It unfurls its small ribbon flowers in the warmth, and curls them back up when it's cold. The large witch hazel around the corner from me in Grimsby has been blooming during February, and here are some images from this past week.